Please welcome Rod Duncan to The Qwillery. 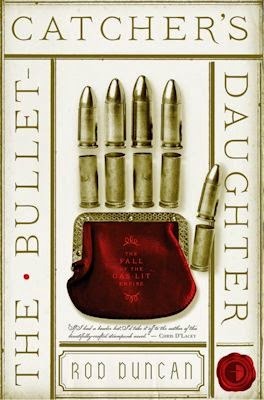 The Bullet-Catcher's Daughter, the first novel in the Fall of the Gas-Lit Empire series, will be out in print in the US and Canada and in eBook format everywhere on August 26th and in the UK in print on September 4th. TQ: Welcome to The Qwillery. The Bullet-Catcher's Daughter is the first novel in your Fall of the Gas-Lit Empire series and is Fantasy. What attracted you to Fantasy and steampunk in particular? Rod: I was brought up on science fiction and fantasy. Long before I could read the books for myself, my father used to read them to me. He had stacks of Astounding Science Fiction magazines and Analog Science Fiction and Fact. I think some of them dated back to the early 1950s. I was late starting to read for myself. But when I did, I went for Tolkien in a big way. Then a little later I found Mervyn Peak’s Gormenghast books. I’d also list the Sherlock Holmes stories as an early influence. With that alone, you might guess why I was attracted to steampunk. 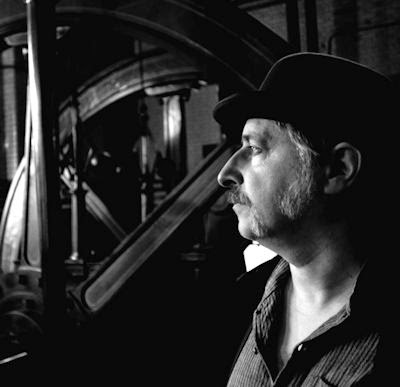 But throw place into the mix and my choice to go for steampunk starts to look inevitable. The Bullet Catcher’s Daughter begins and ends in a fantasy version of Leicester, England. Much of the real city was built in Victorian times. Walking through its streets, you catch glimpses of the Victorian world in the architecture as well as under your feet – with cobblestones showing through where the road surface has worn away. I guess I wanted to bring the sights, sounds and smells of the 19th Century city back to life. TQ: Are you a plotter or pantser? Rod: A bit of both. A place or a character might set me writing – with no clear idea of where I am going. I’m happy to let a sense of narrative drive guide me at first. But after twenty thousand words or so, I expect to have figured out what the most significant plot points are going to be. Enough to give me a mental map of where the book is going. There’s still plenty of room for discoveries along the way. I need to be able to surprise myself as I write, otherwise I would get bored. Rod: Plotting. I’m always thinking and talking about it. I even teach courses on it. But there is something about holding all those events in my head at once that I find challenging. The plot of a novel is more than a head-full. That’s my problem. TQ: Please tell us something about The Bullet-Catcher's Daughter that is not in the book description. Rod: My protagonist lives on a canal boat. She rationalises her strange choice by saying it gives her the freedom to live her double life - to the world a dutiful sister but in secret a private investigator. Really, I think she lives in a boat because she is curse-blessed with the spirit of a wanderer. She was born in a travelling show and can’t abide the thought of living in bricks and mortar. TQ: What kinds of research did you do for The Bullet-Catcher's Daughter? Rod: For the framework of ideas that underpin the books, I had to research the history of the early part of the Nineteenth Century. Revolutions and social disorder are important. The Luddites feature prominently. But to get the feeling of the world right I had to research different kinds of things – the texture of fabrics, the smell of coal smoke, the sound of steam engines. 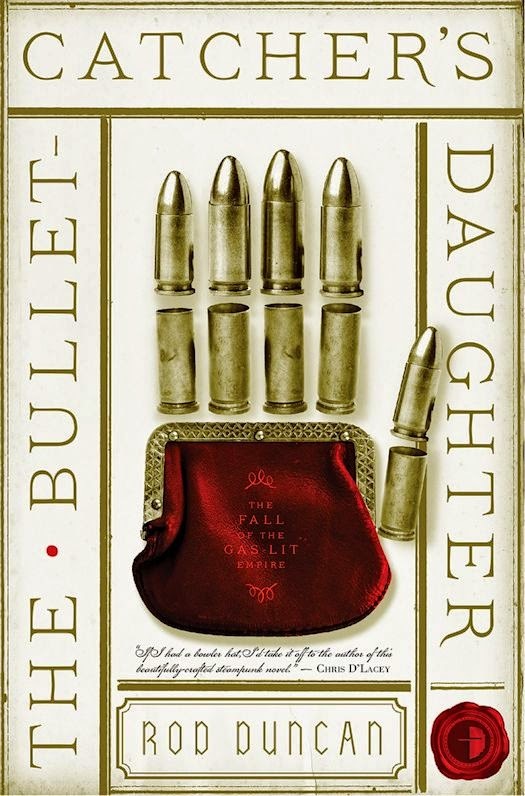 TQ: In The Bullet-Catcher's Daughter who was the most difficult character to write and why? Which character surprised you the most? Rod: Elizabeth, the protagonist, was at once the hardest, the easiest and the most surprising character to write. I have written a first person narrative with a female protagonist before. (My crime novel, Backlash, took that form.) But Elizabeth was tricky. Gender identity is one of the themes of the story. Thus I could not fudge the issue. It had to be prominent and it had to be right. But once I could hear her voice, she was a joy to write. And she is constantly surprising me. TQ: Without giving anything away what can we look forward to in Unseemly Science, the second novel in the duology? Rod: Elizabeth is going to be forced to leave her boat and travel north to the cities of Derby and Nottingham, trying to stay one step ahead of the law and at the same time solve a mystery that concerns a large quantity of ice. Rod: I have not finished writing about Elizabeth. The series title The Fall of the Gas-Lit Empire gives a hint of where the tides of history are pulling her. I’m looking forward to sharing the journey. Rod: It’s been my pleasure. Thanks for the interesting questions. Rod Duncan is a published crime writer. His first novel Backlash was shortlisted for the CWA John Creasey Dagger, and he has since written three other novels (all Simon & Schuster UK), and had his first screenplay produced. His background is in scientific research and computing, and he lives in Leicester.